PharmaLive is an innovative application designed for simplification & Automation of Pharma Trade Order Management between the DISTRIBUTORS and RETAILERS. This product has been test driven in the market and the distributors and retailers expressed their satisfaction. Traditionally, this market operates by personal visits of Sales Executives to take orders on paper and update back to systems manually after the trip, as each order consists of multiple items. This process is cumbersome and time consuming, as executives need to visit no. of medical stores in a day. PharmaLive helps sales persons to automate their order management on the move and makes it totally online. With PharmaLive, traders will be able to gain the features of power packed ERP, irrespective of software they use at stores. It simplifies order taking process and in no time, orders can be downloaded and shipped. It is based on Android OS and works smoothly on Tablet. Approximately around 1 Lakh Distributors and around 10 Lakh Retailers across India are in need of smooth solution for their orders management. This solution fills that gap and saves time for both parties and helps in reducing inventory and improving profitability. No Manual work involved in order migration with software used at office. Now, Sales people can focus more on customer satisfaction and Trader can focus on faster shipments & collections and reduced inventory levels. Saves time for retailers and products comes faster. Push latest stock info to sales people with one click. Download Orders faster and save time. Can monitor Orders & Collection of sales persons at any point of time. Outstanding info with Aging on hand. Saving 2 days of Inventory for Distributor, helps in reduced inventory and improved profitability. It is a simple and powerful solution, which helps in improving the overall process. This innovative product has been kept at reasonable price and will be available at the cost of Rs. 5,000 per year. If you have a Mobile applications development idea that you want to convert into an outstanding Mobile aplication, SREEYA Info Tech., is the one of the best Resource to go with. With Mobile technology taking center stage in today’s world, businesses are keen on making noteworthy advancements in the mobile space. As mobile technology keeps the consumers stay connected for almost all the time, enterprises are moving beyond the desktop world to keep familiar to their buyer’s needs. Our experienced Mobile Application Development Experts will synchronize with you, recognize your requirements, contribute their ideas, come up with your best appropriate needs and get the Mobile Application ready for you. Our mobile application developers will help you in every stage and also make sure that throughout the mobile application development processes your idea remains yours only. Every project is highly confidential. Our mobile apps development team uses only the latest operating systems to develop highly interactive applications that are extremely user friendly and offer functional excellence. 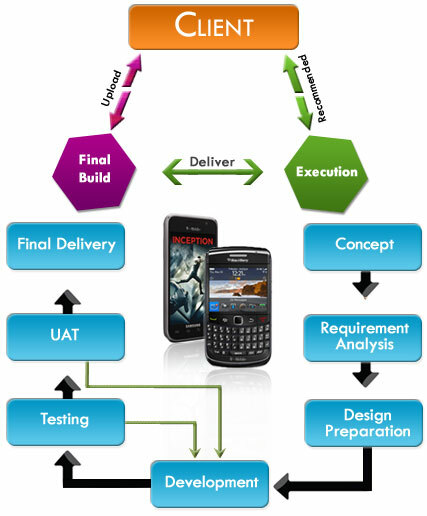 Our mobile app developers focus on striking the ‘engrossed value’ of these applications. We have extremely talented and creative mobile apps programmers who work hard to make any apps idea dynamic and a profitable reality for small and enterprises businesses.